The 2019 Chevy Blazer it is the delightful love baby between an Equinox and a Camaro, giving it all the luxury performance and comfort. The Blazer came around in late 1969 and ran in some iteration all the way to 2005. Before the production was completely discontinued and took a 14-year break to redesign and evolve with the modern world. Markets change so do product. With a steady decline in truck based SUV sales, we had to adapt and change the vehicle to something that would be currently relevant to the market. If you take a look at the new Blazer you’ll see body designs that are heavily influenced by a Camaro, a sweeping back-end a larger grille with a v-shape in the middle of it. The headlights are going to be very reminiscent of sports cars. When you move to the inside of the vehicle, you’ll notice it’s not the blocky off-road vehicle of the day’s past we’ve modernized the entire inside to give you everything from safety features that were not previously available in SUV’s all the way to dual climate control. 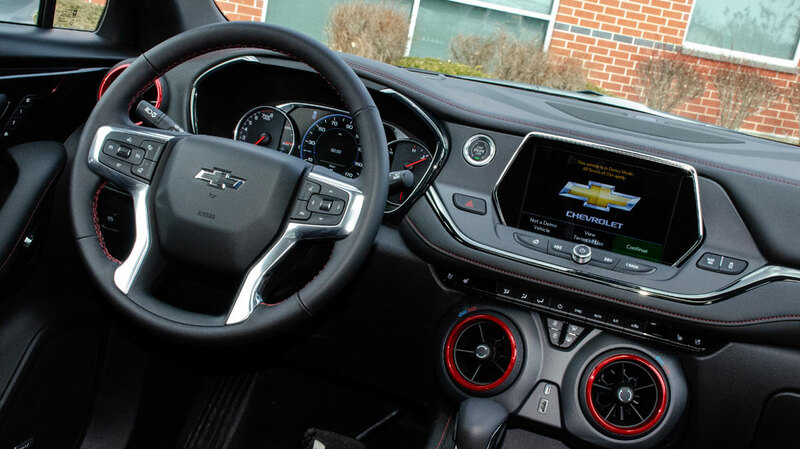 It has a very reminiscent Camaro design on the inside including two of your vents which are also your temperature knobs through dual climate control. There’s a highly innovative, intuitive, and super easy to use touchscreen that you have full integration of Apple CarPlay, Android Auto, and all the other features that you would find in a modern performance SUV. The 2019 Blazer is available in front-wheel drive, all-wheel drive with a 2.5 liter four-cylinder and with a 3.6 liter V6. Both motors and all drive-trains have more than enough get-up-and-go to take all five available passengers. They also made the base of the vehicle a little bit wider it almost rivals the Traverse, so that when you do take that corner a little bit faster than maybe you should, it hugs a turn like a boss. 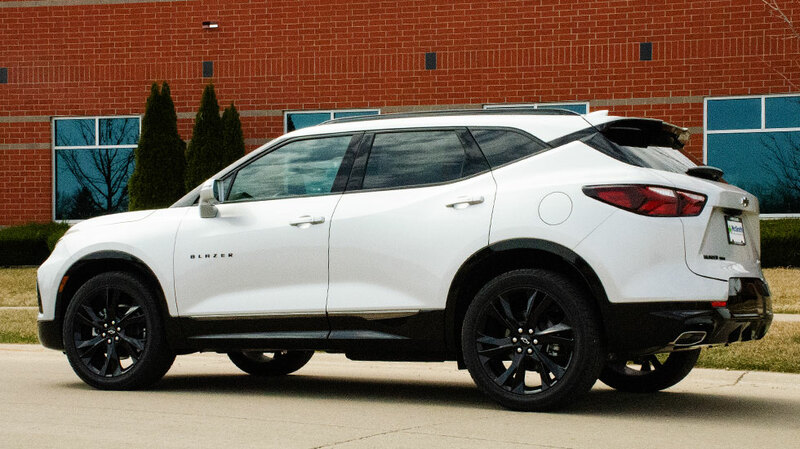 If you would like to learn more about the 2019 Chevy Blazer, stop out at either of our McGrath Chevy locations to take a test drive! Shop all our Chevys for sale at McGrathAuto.com.